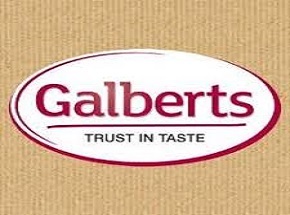 Galberts is a well established and trusted brand across Ireland. Known for their deliciously moreish garlic bread they offer high quality and convenient solutions across a broad range of chilled categories including salads, dips & desserts. Also produced on site, the Fresh Food Kitchen brand offers a range of fresh, natural products, simply made that taste delicious. Both salad and dessert products are handmade at their production facility in Derry, Londonderry to the highest standard using fresh ingredients from local farms. Committed to innovation, the range is continually being refreshed and updated to keep up to date with current trends, catering for both the retail and foodservice sectors. Products are available across major retailers across Ireland including Asda, Dunnes, Spar, Supervalu, Centra, Mace & Tesco stores.